It is time to take the land and build. There is a famous passage of scripture known as the Prophecy of the 70 Weeks located in Daniel 9. What is so phenomenal about the passage is that it predicted the Triumphal Entry of Christ into Jerusalem from the decree of Artaxerxes I. But what most don’t realize is that the prophecy is built on the Shemitah or sabbatical cycle. Yes this prophecy, which is still playing out, is built on the Shemitah or Sabbatical year. The final “week” of the prophecy being the 7 year Tribulation. We live in the gap of this prophecy, known as the Time of the Gentiles, marked from the destruction of the Second Temple to the covenant [or peace treaty] which will begin the final week. But this gap, the time in which we live, is filled by the prophecies of Ezekiel. Daniel was taken in the first wave of deportation to Babylon for a reason, because he would prophesy next after Jeremiah and precede Ezekiel. Ezekiel, taken in the subsequent and main wave of exile, would prophesy and “fill the gap” of Daniel’s prophecy coming behind him in both physical exile and spiritual word. In Ezekiel 37 we are confronted with a miraculous restoration and regathering of Israel. What was so significant about World War I and World War II was the impact it had on the Holy Land. The Ottoman Empire was conquered, a major shift in the Levant, bringing with it change of Biblical proportions, literal Biblical fulfillment in the land. With the Holy Land secured the Jews would be placed back in their land after World War II. They are now one nation and no longer divided between the Northern Kingdom of Israel and Judah in the south. This is important because it was the Assyrian Captivity of the Northern Kingdom which set into motion the diaspora Jews we have today. But now, Israel is one nation. The Nation of Israel has now been restored for almost 70 years. In 2018 we will celebrate both the 70th Anniversary of the State of Israel and also, the same year, the 100th Anniversary of the end of World War 1, that which began the restoration process. In the Bible we know that God marks completion of an event by a generation. In scripture a generation is generally defined in three ways: 40 years, 70 years [the life of a king] and 100 years. But in this case a 70 year generation is of importance, due to its historical correlation to the Temple. – We see this with David, whom was not allowed to build the First Temple because of the blood on his hands from war. As a result, the task would be given to the next generation, Solomon’s generation. David would live exactly 70 years, which was a generation or the life of a king as set forth in scripture. – We also see this in the Babylonian Exile. Where as Jeremiah prophesied, the Israelites would remain in exile for 70 years before returning to the land. This happened exactly as Jeremiah prophesied, the Jews would return exactly 70 years later as marked by the period of time which spanned the destruction of the First Temple and the beginning of construction on the Second Temple. – Again we see this through the birth of Christ, where within 70 years of the birth of Christ, the life of a king, the prophesied destruction of the Second Temple would occur in 70 A.D.
We are living in the 70 year period after 1948, when Israel was declared an independent state and placed back in their land. This 70 year period is complete in 2018. Also in 2018 is the 100 year anniversary of World War I, which marks completion of the restoration of Israel, based on the war which began the process by repossessing the Holy Land. 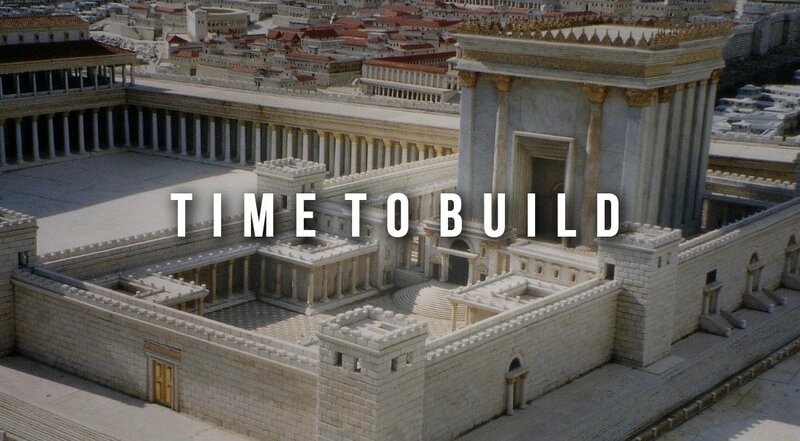 It means that as we approach the 70th Anniversary of the State of Israel, their restoration and regathering after World War II, that we are entering into a period of Temple reconstruction as defined by Biblical, historical trend. The necessary generation of 70 years marked by the life of a king, which is needed between one act of fulfillment to the next, will be complete and the historical significance is correlated to the Temple. That the next generation is approaching and it is time to rebuild. All of these converge in 2018, which means we are entering a transitory period, where we are ripe for Biblical fulfillment. The birth pangs of Shemitah 2001 and 2008 (Gregorian) a sign to Israel and diaspora Jews, in the US and around the world, that it is time to come home. In my book I explain in detail all of the following and give clear insight into what is setting up in the Middle East. – Why the desire to form a pre WWI caliphate in the Levant by ISIS is just a catalyst for next stage fulfillment, not disruption of God’s plan. – Why the Church needs to prepare for Tribulation. We will look in depth at the prophecy of Daniel 9 and how the “gap” is filled by Ezekiel concluding with what I call the Ezekiel 37-39 Window. We will also look at the Olivet Discourse and learn how, through proper exegesis, the words of Jesus give ultimate clarity into “end of days” structuring. The raising of the Palestinian flag at the United Nations in September of 2015 was just foreshadowing of coming change, a forerunning of future covenant. What most don’t realize is that the Star of David or “Seal of Solomon” is really an occult symbol, analogous with the pentagram. Adopted by Zionists from Kabbalah, this occult symbol was rooted in Arabic medieval literature and based on the legend of Solomon’s signet ring. The symbol is not Jewish at all, it is an abomination. It was given to Israel as their official mark by the United Nations in 1948. However it is rooted in the occult and points to the Temple. It points to Ezekiel’s Temple, a common theme in the occult, for it is where the Abomination of Desolation will occur. Most importantly the transferred mark or symbol is a veiled reference to the authority the United Nations has over the State of Israel. That the entity which created the State of Israel has ultimate authority to broker the covenant mentioned in Daniel 9, that which begins the Tribulation and paves the way for Ezekiel’s Temple. It is time to turn the lights on and awaken the Church. I explain all of this and more in my new book and I am thankful to announce it is available on Amazon for physical copy and Amazon Kindle. 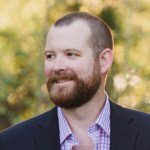 Matt Cote is the Founder of Concept Church, a digital media ministry. He is the author of the book, End Game.